Crab Creek Review's Fiction Contest Winner Announced! Contest judge, Kim Barnes has chosen "The Tenant" by Roger Sheffer as the winner of Crab Creek Review's 2011 Fiction Contest. About her decision to choose "The Tenant", Kim Barnes writes, "The best fiction takes us to that strange place where we have never been but instantly recognize as familiar, and Roger Sheffer's "The Tenant" is just that kind of story: peculiar, fascinating, and, finally, heartbreaking in its portrayal of our need to control the chaos of emotion and vulnerability when what we desire most of all is the courage to belong." Roger Sheffer has been teaching writing at Minnesota State Mankato since 1980. His most recent book publication is the story collection Music of the Inner Lakes (New Rivers). His stories have appeared in The Missouri Review, Northwest Review, Third Coast, Fugue, Harpur Palate, and many other magazines. His interests, beyond writing, include hiking, rowboats, composing music, and choir singing. About his winning fiction piece, Roger writes, "I was interested in how the power differential between two characters could change, during the course of a story. That it began with a cough and ended with an eviction seemed predestined; hopefully, not too predictable." Thank you to contest judge, Kim Barnes and to our fiction editors, Jen Betterley and Nancy Canyon. Congratulations, Roger! Look for "The Tenant" in Crab Creek Review 2012 v. 1, available in spring. Enter Crab Creek Review's 2012 Poetry Contest! This year's submission period is March 1st - May 31st. 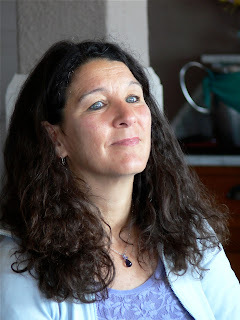 Our guest judge is award winning poet, Susan Rich.